Your new promotion is soon to bloom! This custom starter grow kit is an easy, natural way to get your flower garden started. 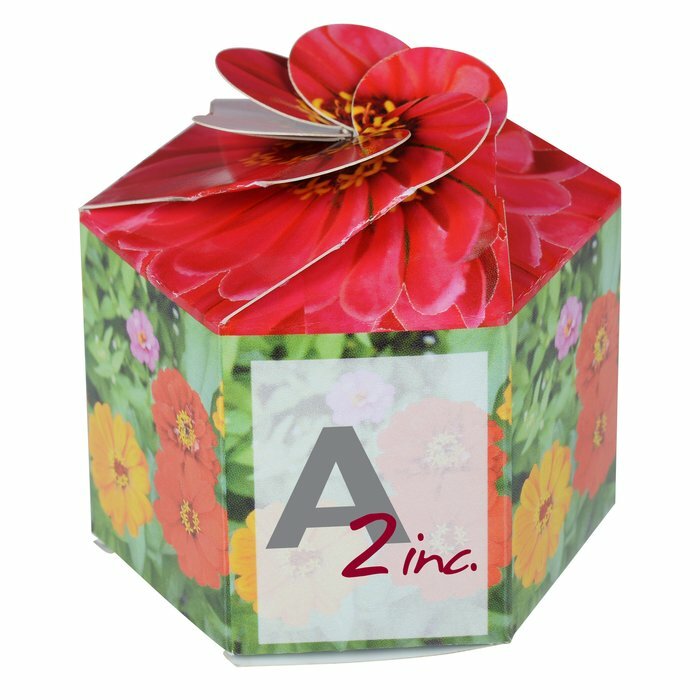 Pop-up the attractive container, add water and seeds and you’ll be on your way to growing your own zinnia plant. Transplant your plant when seedling is 2-3" tall for further growth. Great for adding some life to your office environment! Size: 2-1/2" x 2-1/2" x 2-1/4". Your price includes a full color imprint on the front center of the container.